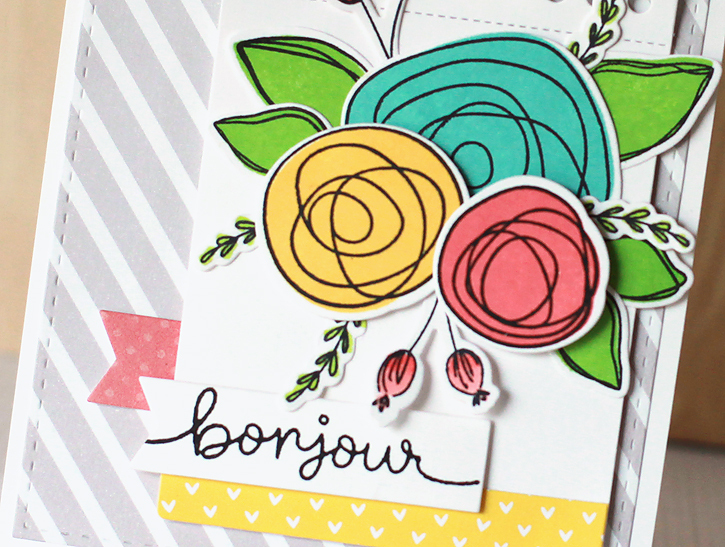 Today's card features the Circle Scribble Flowers stamps from MFT. 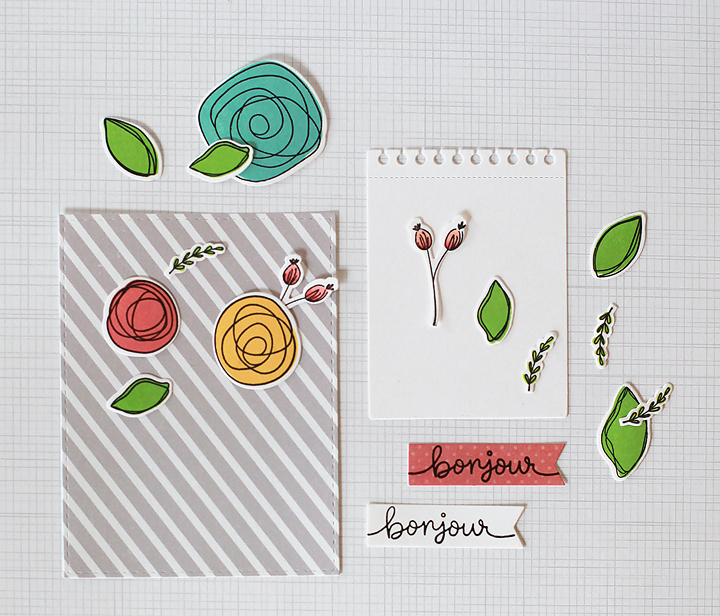 I love the whimsical style of this stamp set! The smaller buds and vines are from the Mama Elephant Freestyle Florals set. I like the way the two different styles of flowers complement each other when arranged together. 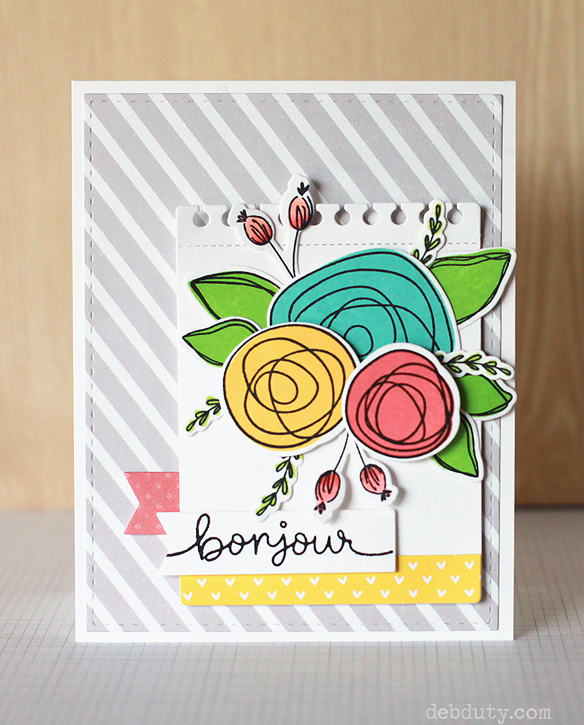 The "bonjour" sentiment is from Lawn Fawn's Gleeful Gardens stamp set. Here's how I made this card. The base is the standard top fold A2 size, 5 1/2 x 4 1/4". 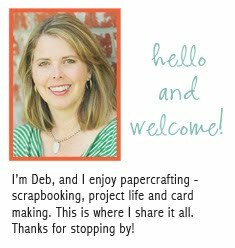 The striped patterned paper was cut with a stitched rectangle die at 5 1/4 x 4". I love this size because of the way it shows just a narrow border of the base. The base for the flowers was cut with MFT's notepad die. I cut the white and pink banners with a banner die. I wasn't sure which one I wanted to use for the sentiment so I tried them both. I decided I liked the sentiment stamped on the white banner, but with the flag facing the other direction so I recut it, and I cut another banner from the pink paper to use as an accent. The flowers and leaves were stamped with Lawn Fawn's new inks which consistently give the best coverage of any ink I've tried for solid shapes like these. (the yellow flower is Hero Arts butter bar.) The buds and tiny vines were colored in with copic markers - R21, R22 and YG05. I cut a strip from some scrap patterned paper with a portion of the same notepad die, and then cut it 1/2" wide to fit perfectly along the bottom of the notepad paper shape. I adhered the striped panel to the card base with liquid glue. Then I adhered the notepad paper shape to the the grey striped panel with foam tape. I arranged the flowers as shown onto the notepad shape, popping up the yellow flower with foam tape, and the pink flower with foam dots because I like the different dimensions together. Then I added the yellow strip along the bottom and the two banner shapes. If you like flower cards, I shared another using only the Freestyle Florals set a couple days ago here. Hope you all have a wonderful weekend! Another beautiful card! I love how you used those flowers! Beautiful!! 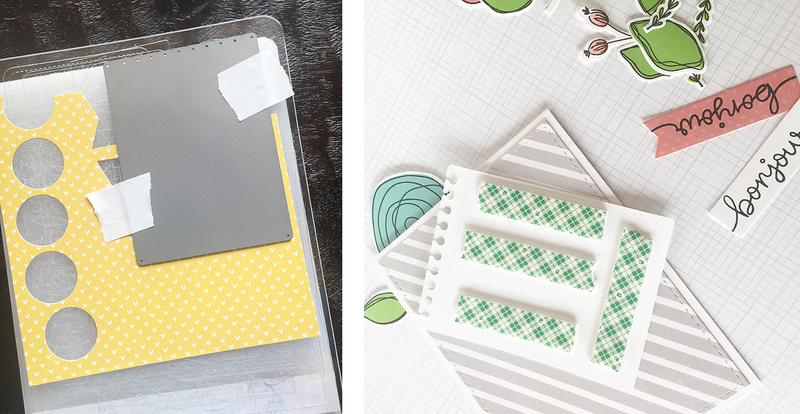 I not only like the scribble stamp set, but your color combination is AWESOME. Gorgeous! Love your design and colour combo.